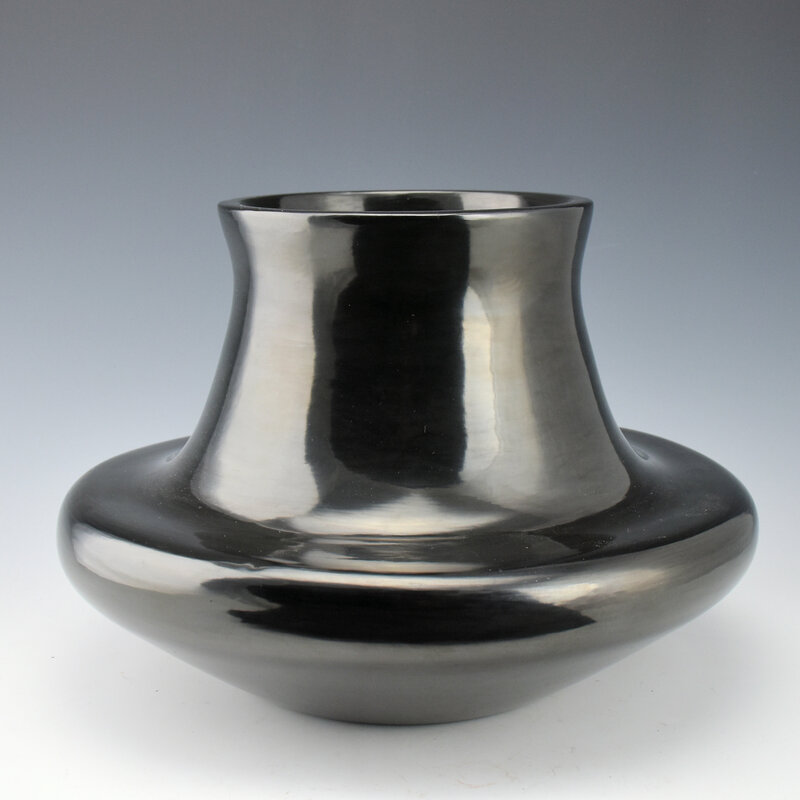 This water jar by Jason Ebelacker is a striking vessel, which finds its reference in a very historical form. 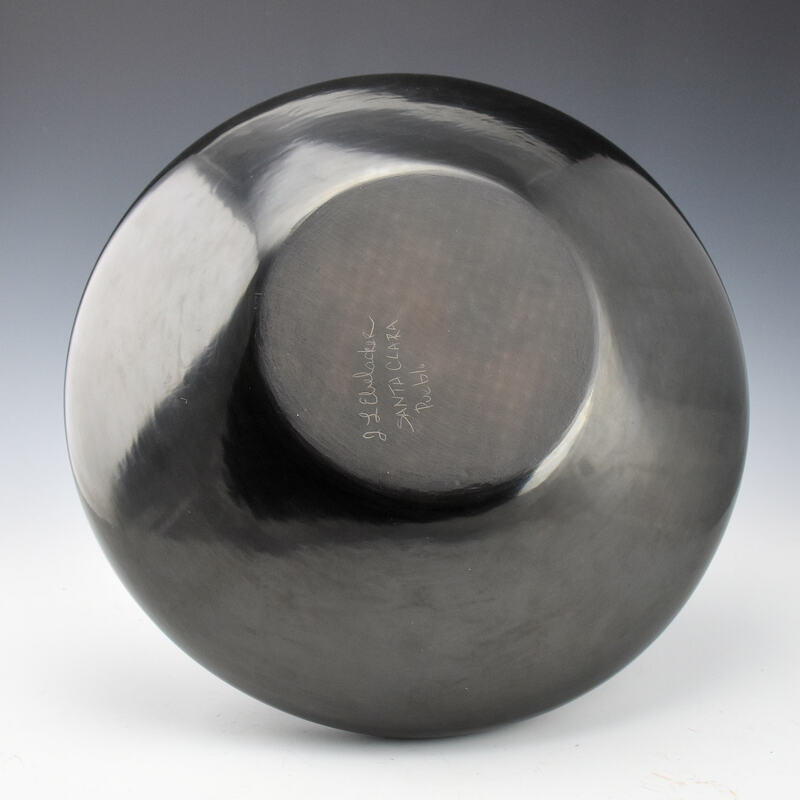 The jar has a very wide shoulder which then curves downward before extending up to the neck. There is just a slight turn out of the rim. 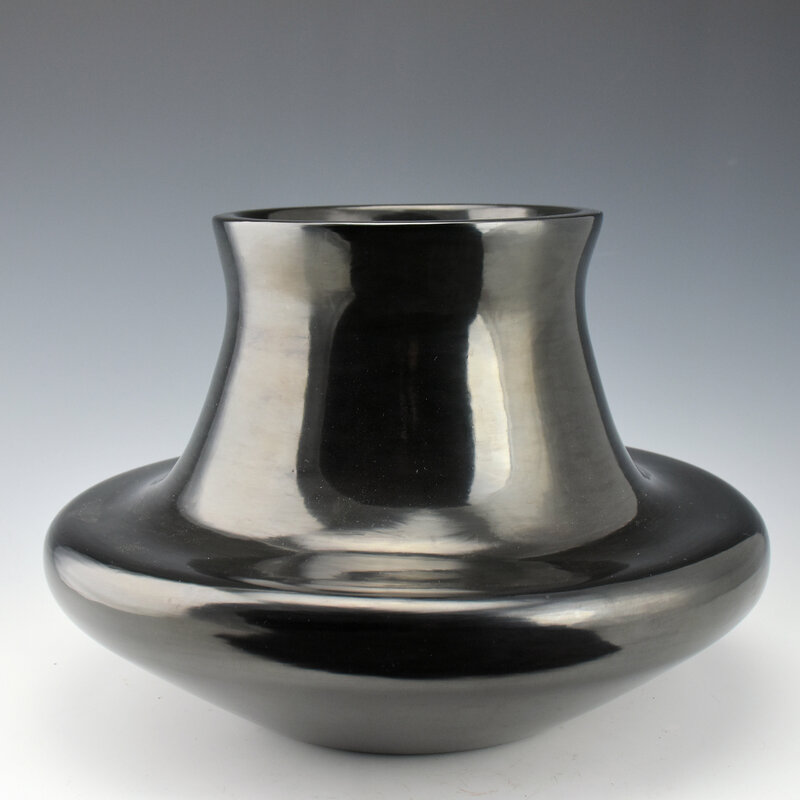 The jar is highly polished and fired a deep black. The various curves on the jar create beautiful angles for the reflection of light.. Jason is a son of noted potter Richard Ebelacker and grandson of Virginia Ebelacker.